We are so grateful to our members who help us grow our organization and affect change at the Legislature. 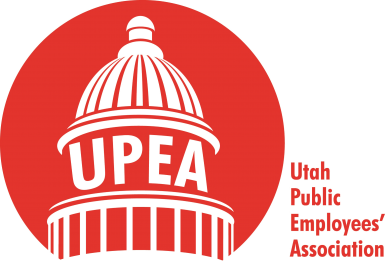 Since July 2016, UPEA has had 428 new members. Of those, 83 are new retired members and 355 are working members. During the quarter, there were 189 new members recruited and 53 different recruiters. During the quarter, there were 134 new members recruited in the quarter and 45 different recruiters. During the quarter there were 61 new members recruited and 26 different recruiters. 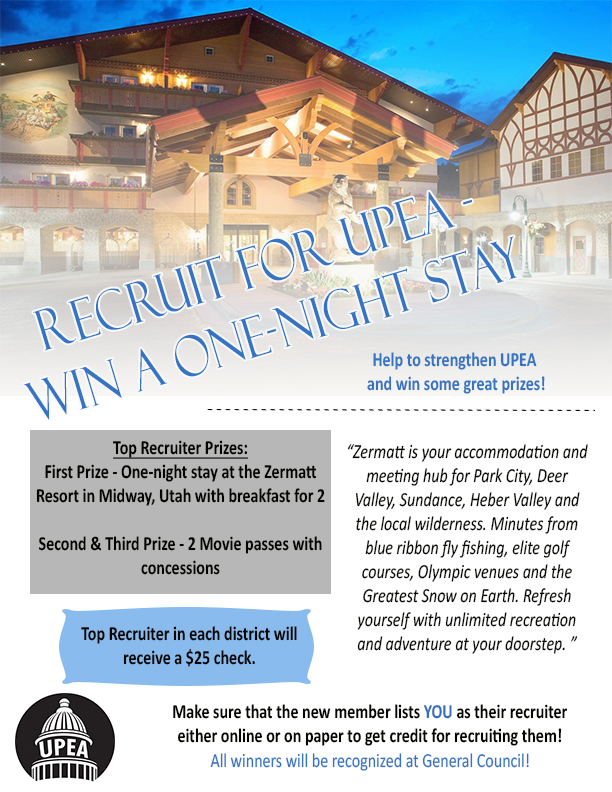 John Christiansen is driven to help grow UPEA. What are the characteristics of driven people? 1.) They have a passion for what they are doing; 2.) They are doers; and 3.) They have an internal need to win. Drive is part of C hristiansen’s DNA. He never takes on any task half way. If you have ever worked around Christiansen, it’s exhausting and energizing at the same time. UPEA would like to honor Christiansen for the third year in a row with the Recruiter of the Year Award. During his personal recruitment drive, Christiansen has recruited 318 members. Ninety-three of those were recruited during 2016. His recruitment efforts are in addition to an intense job assignment, raising a family, and serving as an active member of the Utah National Guard. Lack of time is never an excuse for him. Christiansen’s efforts are unprecedented in UPEA history. He has been the catalyst to help UPEA maintain a solid foundation as the largest employee organization in Utah.